Peacefully, with her family by her side, on Sunday, August 12, 2018 at the Village Green Nursing Home in Selby, Alma Elizabeth Hunter at age 93. Beloved wife of the late Gordon (deceased 2001) and loving mother of Don (Betty); Doug (Jan); Diane St. Onge (Gilles); and the late David (deceased 2013) and his wife Sharon. Beth was a proud grandmother to Jennifer; Heather; Kelly; Laura; Shelley; Erin; Craig; Danny; Marc; Justin; Daniel; Patrick; and Sandra; Tanya and Cindy and a great grandmother to 24 children. Predeceased by her parents Earl and Gladys Craig, brothers Claude (Marion), Bobby and Johnny and sister Mary Jackson (Homer). Beth is survived by her sister-in-law Helen Craig and several nieces and nephews. 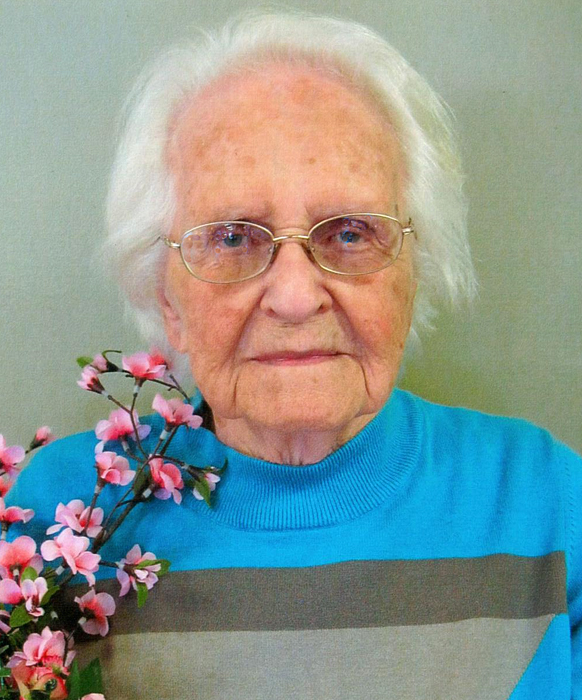 She will be sadly missed by numerous family, friends and acquaintances from the Napanee, Bath and Kingston area and fondly remembered by the residents, staff and visitors to the Village Green Nursing Home. The family will receive friends at the HANNAH FUNERAL HOME in Napanee at 123 Dundas Street West (613-354-3341) on Wednesday, August 15 from 6-9 p.m. Service in the Chapel on Thursday, August 16 at 1:00 p.m. Interment Morven Cemetery. Expressions of sympathy for those desiring may be made by cheque or credit card to the Ontario SPCA Lennox and Addington Branch.